Months ago, we told you about Derek Hess’ busy schedule. Forced Perspective, the documentary based on his life and career won an award at the Cleveland International Film Festival, and he had just completed his latest book, Black, White and Red All Over. As we mentioned during the film festival, Hess and his longtime business partner Martin Geramita have been busy converting Geramita’s office into a new exhibition space at 78th Street Studios. Finally after months of anticipation, the new Derek Hess Gallery is opening during this weekend’s Third Friday at 78th Street Studios. From 5 to 9 p.m. this Friday, Aug. 21, Hess will be in the gallery to host a grand opening and book signing. “The building has a rich history of art going all the way back to Robert Crumb and Tom Wilson, and now along with the resurgence of the building, we couldn't be happier to be able to be a part of it,” says Geramita, who once owned and operated 1300 Gallery in a nearby part of the 78th Street Studios complex. The gallery will serve as an exhibition space for Hess, as well as emerging and established artists selected by Hess and Geramita. For this opening, Hess will be exhibiting alone, but he and Geramita are currently organizing a Godzilla-themed show for Third Friday of October (Oct. 16, stay tuned for more info in October). 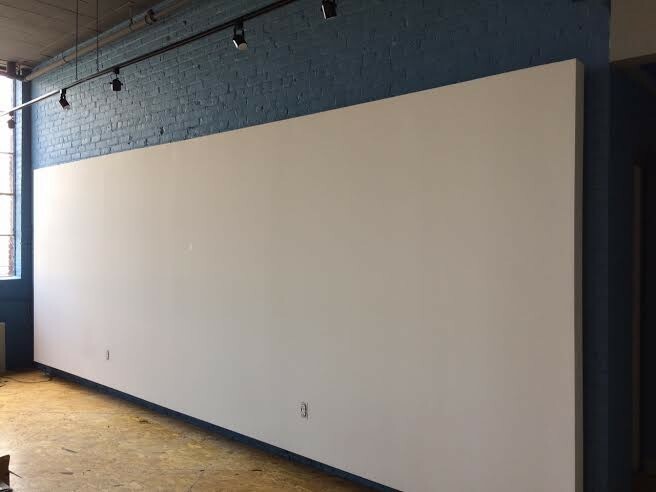 The space will continuously feature Hess’ original art, fine art, prints and posters. The grand opening will showcase some of Hess’ new drawings and prints. This Friday, Hess will be signing copies of Black, White and Red All Over, a collection showcasing 175 of Hess’ iconic gestural ink drawings created a decade ago, from 2004 to 2005. There will also be gallery exclusives for sale (not available online), and there are rumors of special surprises for the first 20-30 people who buy the book. NOTE: To access Derek Hess Gallery, enter through the staircase entrance on the W. 78th Street side of the building. Look for signage on W. 78th Street to find the door. You cannot enter the gallery through the main entrance or through the interior of the building. You must use the W. 78th Street Entrance.